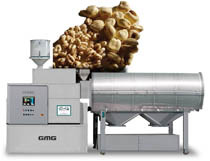 GMG RICE CAKE MACHINES series, are rice puffing machines, pop machines designed and built completely in Italy, for the production of rice cakes (puffed rice cakes). 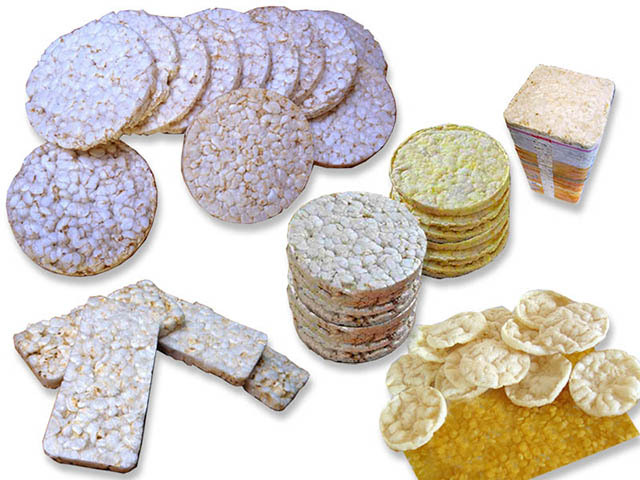 Rice cakes can be made of: rice, any other cereal, rice mixed with other cereals, or pellets from cereals, in many sizes and shapes. 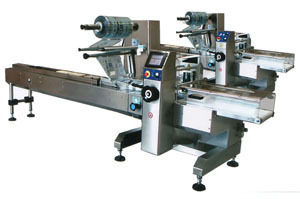 Automatic system capable to feed rice cakes on edge to the packaging machine by vibrating conveyors. 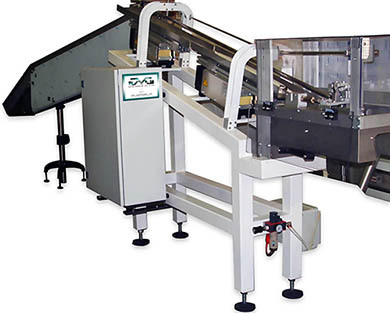 The horizontal packaging machine is available in three versions: small mechanical, standard mechanical, electronic. Specially built to pack on edge a fragile product as the rice cakes. Cereal puffing machine for the expansion of all kind of cereals (wheat, rice, corn, barley, oats, oats rings, etc). Expansion principle is based on a cereal precooking and subsequent compression by steam. Our extruders can process lots of different raw materials, either singly or mixed, including maize grits, broken rice, wheat semolina, whole wheat, bran etc. we supply whole processing lines from raw material infeed to finished product. Capacity 120 or 220 or 420 Kg/h of finished product.